Belmont University School of Physical Therapy Faculty Members Drs. 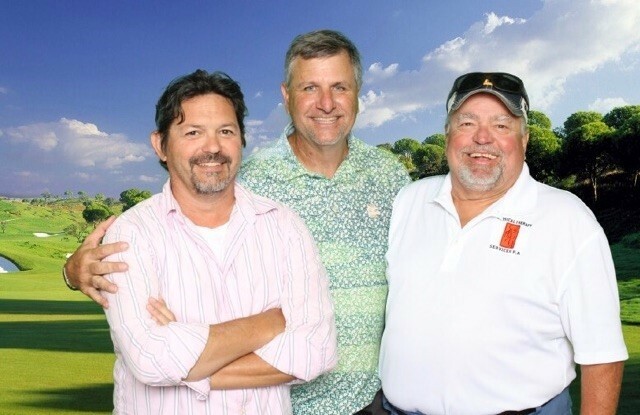 Pat Sells, Danny Smith and Mike Voight recently volunteered for the 2017 Music Row Ladies Golf Tournament. The event was presented by Keith Urban and sponsored by ASCAP, City National Bank and Tim McGraw. This long-running charity event has raised more than two million dollars for United Cerebral Palsy of Middle Tennessee in its three-decade history. Voight said, “It is fun to participate in an event that we can see fruits of the fund raising efforts. The funds raised help to build wheel chair ramps that physical therapy students go out and volunteer to build.” The 30th annual tournament took place on Monday, August 21 at Old Natchez Country Club in Franklin, Tennessee.